‘An eye for an eye, a tooth for a tooth’ is what we have assumed retribution to mean in the literal sense. Owing to this interpretation, the retributive theory of punishment of criminal wrongs has been criticised as primitive, antisocial and inhuman. It is true that to return evil for evil would make punishment an end in itself rather than a means to justice, however, when a criminal is punished, is it only a deterrent measure or does it not satisfy the feeling of vengeance held by the wronged or the sympathy stirred up in the society? Retribution, is acceptable in various forms and degrees in various legal systems, its nature has changed with time, but the question is, can retribution be parted from criminal justice? The primary objective of criminal justice in the modern society is clearly deterrence, the degrees of reformation, prevention and retribution vary with the nature of crimes and situations. Retributive theory, which has long been associated with vengeance, is considered to be a primitive theory of a society where justice was not clearly defined and gratification of the retributive indignation of the wronged was the aim of justice. In other words, justice was to cause the same misery as has been caused. To the modern utilitarians, this theory of retributive punishment is completely inadmissible. Retribution, to them, is in itself not a remedy of the mischief of the offence, but an aggravation of it. However, this view arises from the failure to appreciate the rational basis of the instinct of retribution, a failure to refer to the emotion of retributive indignation to the true source of its rational justification. This want of retributive indignation is natural and owes its origin to the morality present in the community and its individuals. This feeling is present not just in the individual wronged, but also in the society at large, by way of sympathetic extension. This feeling of vengeance is rooted in the very human nature, and to deviate from it is to defy it. We can understand this want of indignation by relating to the case like of Nirbhaya, where not just the kins, but the whole nation wanted the wrongdoers to be served with a death sentence and the society also took steps to ensure that this feeling of vengeance is satisfied. There was a widespread feeling of dissatisfaction amongst the members of the society when one of the accused was liberally sentenced because of his apparent tender age. Deterrence, in modern society in the primary aim of criminal justice. It is quite rational as it is the foremost function of the state to secure the life, liberty and property of its subjects. But is the punishment inflicted upon a wrongdoer purely in nature of deterrence and not retribution? However, this principle is to be interpreted not in its literal sense but shall be interpreted metaphorically and symbolically so as to guide the ideal scheme of criminal justice. If retribution were not to be a part of criminal justice, the feeling of retributive indignation of the wronged and that of the society, arising out of morality would go unsatisfied, as a result, the administration of justice shall be ineffective in its cause. Since these emotions are present in us by virtue of us being human beings and being a part of the society, it is, therefore, necessary that these emotions and instincts be encouraged rather than being defied and strengthened by their satisfaction. Salmond has also argued that this instinct of vengeance needs to be stimulated and not restrained. The normal practice of utilitarians of restraining and suppressing this feeling of anger over a wrongdoer and returning him with evil has replaced the emotion of anger with sympathy towards the evil-doer. The retributive indignation that we seek to promote is indeed a healthy one, not being the sole reason for the punishment but a part of it. These emotions that lay at the root of retribution are still extant in human nature, and it is distinct, though the subordinate function of criminal justice to afford them their legitimate satisfaction. Thus, retributive punishment, in the only sense in which it is admissible is that which serves for the satisfaction of that emotion of retributive indignation which in all healthy communities is stirred up by injustice. The satisfaction of this emotion is indispensable and the criminal justice owes its effectiveness to the part of vengeance that this punishment carries with itself. Criminals are punished not merely from an intellectual appreciation of the expediency of doing so, but also because their crimes arouse in the society the emotion of anger and retribution, without satisfying which, criminal law would be a feeble instrument of administering justice. PREVIOUS POST Previous post: The Crumbling Pillar of Democracy: Is the Media Losing its Own Voice? 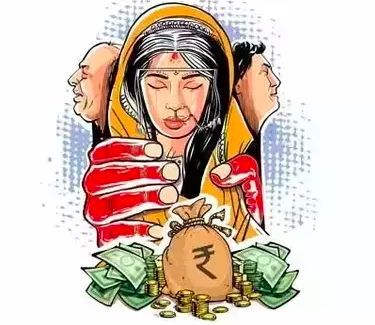 NEXT POST Next post: How to Report Dowry Related Violence?